Telltale games has been making a name for themselves recently – starting in 2005 with their adventure game adaptation of the graphic novel “Bone“, they have come to define episodic gaming with properties like Sam & Max, and Monkey Island. Not content with video game characters, they upped the ante by branching out in to popular entertainment licenses, producing even more episodic adventure games for the likes of Strongbad, Back to the Future, Jurassic Park, The Walking Dead, and DC Comics’ Fables. Today, Sonic the Hedgehog joins their killer line-up. You cannot get ye chili dog. 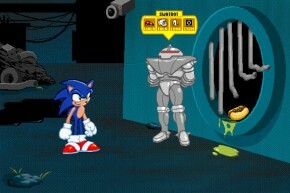 Picking up from the recent relaunch of the “SatAM” TV series, The Adventures of Sonic the Hedgehog follows Sonic through the rise and fall of Dr. Robotnik and his subsequent rebirth as the unstoppable Dr. Eggman. “We’re tapping in to that nostalgia in a big way,” she added. “Retro-styled games have proven to be hugely successful, with Mega Man 10 recapturing that feeling of being a kid again. 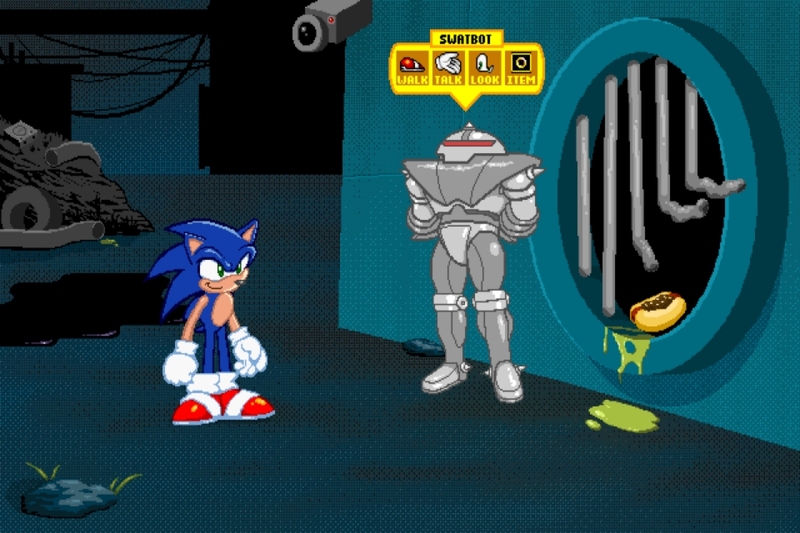 Sega was gracious enough to let us go back to our SCUMM roots with Adventures of Sonic. We’ve made a few improvements to the engine, but not so much as to deter from the game’s classic retro charm.” But that’s not to say the game will be slow, oh no. Many of the game’s puzzles implement timed elements, requiring the player to find their solutions quickly – or be met with a harsh penalty. “We’re dying to see how the player reacts to some of the things that happen if they aren’t fast enough,” she adds. EDITORIAL: What is up with GameSpot?